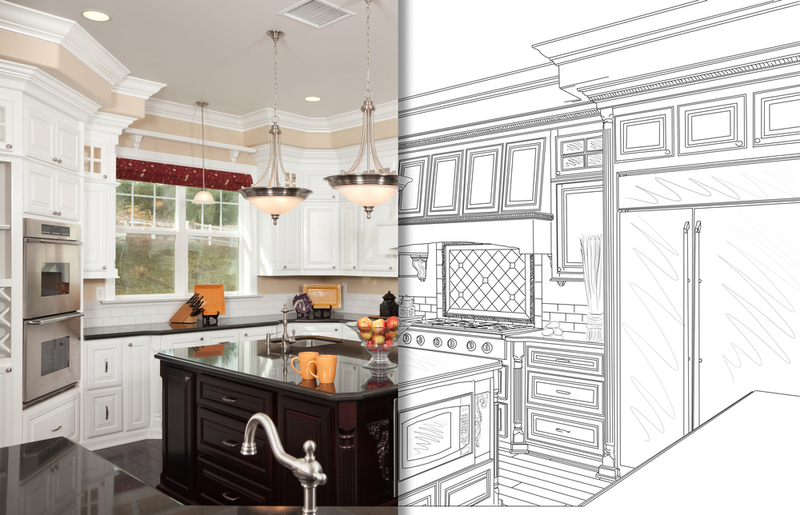 Planning, budgeting and designing your renovated kitchen is an iterative process. Before your cabinet and other kitchen design layout is finished (and you finalize the cabinet order) you need to know the number, type and size of your appliances. Are you getting a large stand-alone oven stove-top combination? Will it be 36 inches wide or 30 inches wide? Are you installing a built in microwave or conventional oven or both? As noted previously, you should also be aware that if the size or capacity of the appliances is changing, the electrical cables and circuit capacity may need be reworked by your electrician. If you are moving the refrigerator location and want an automatic icemaker or water in the refrigerator door, the refrigerator water line will need to be moved. Other appliance considerations will include ventilation and lighting for appliances and cooking surfaces, as well as possible upgrades such as a wine-refrigerator, warming drawer, or a plumbed coffee maker. Plan ahead as to who will be installing your appliances. You may want to purchase installation service from your appliance dealer but be aware that such installation services are usually rather basic and do not include any complicated electrical or plumbing final connections. Your kitchen cabinet dealer should be able to give you expert guidance on the most efficient and effective kitchen layout including a detailed layout and size for each of your new cabinets as well as a detailed quote. Plan for who will install your new cabinets. Some kitchen cabinet suppliers offer this service while others do not. There are advantages to having the installation done by your cabinet supplier, if they are expert at this installation process and your contractor is not. 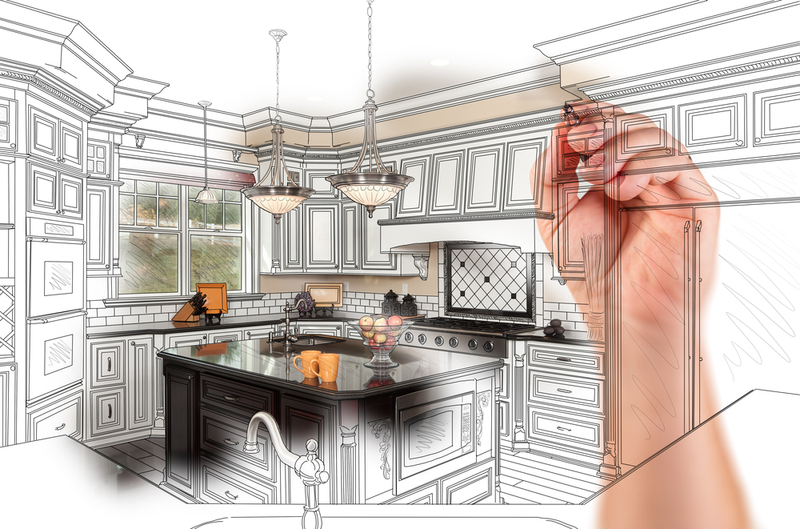 However, if you are using a contractor that is well versed in kitchen renovations, then using your contractor can be an equally good alternative. 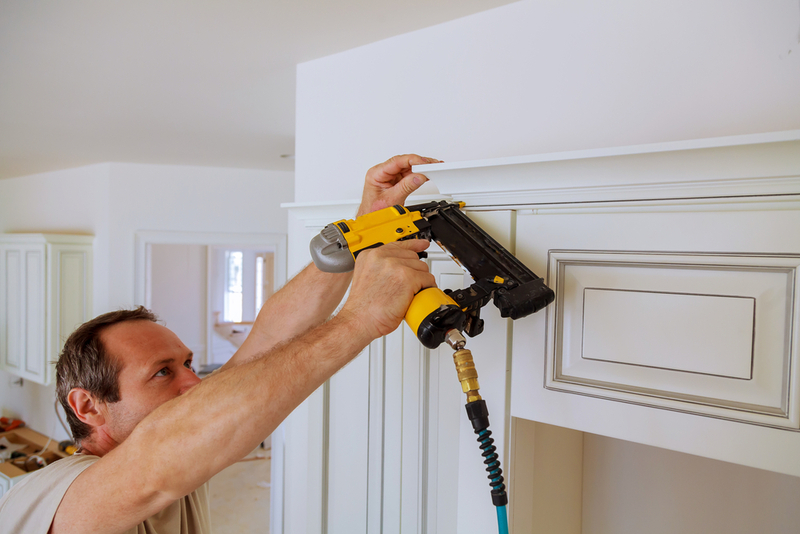 If your new kitchen includes extensive crown molding, make sure your installation contractor is familiar with its installation. The most popular countertop materials today are granite and man-made Quartz (such that are made by Cambria USA). The advantages of quartz vs. granite are its superior strength, stain-resistance without the need for on-going maintenance, and the designer colors and patterns that are available. Some granite materials cost less than quartz and the advantages of strength and stain resistance are often more pronounced when comparing Quartz to the lighter granite colors. Countertops are installed after the cabinets. 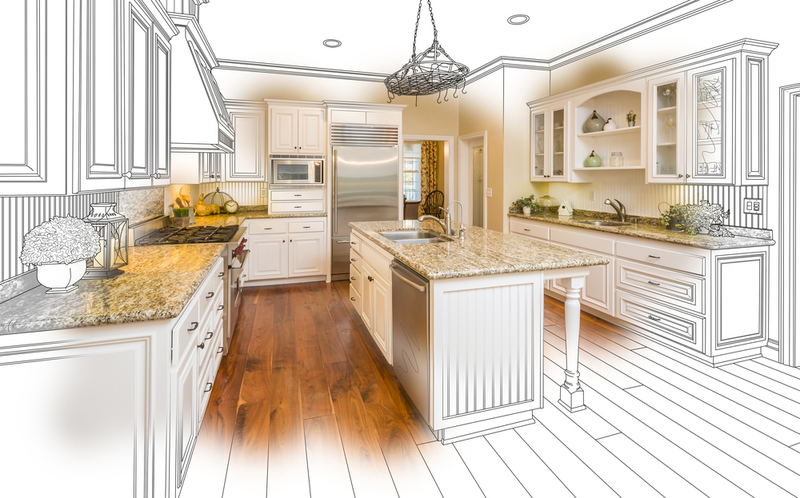 To insure the best results, a template of the exact measurements is made by the countertop supplier after the cabinets are installed and before the countertop is fabricated. You should have your sink, faucet and any appliances that touch the countertops (think dishwasher) present when the countertop template is created. Besides the large range in the design and construction of sinks and faucets there are three important sink considerations early in your planning process. First, do you want a “farm-house” or “apron” sink? The sink-base cabinet needed for a farm-house sink is different than for other types of sinks and you and your kitchen cabinet designer need to plan accordingly. Second, will your sink be located in a corner? Again, the sink-base cabinet is different from other sink-bases. Finally, what is the overall size of the sink that you want? Faucets are another feature that you can add both functionality and design appeal to your kitchen. Both the faucets and sink will need to be taken into account when your countertop template is made, so consider these things ahead of time.